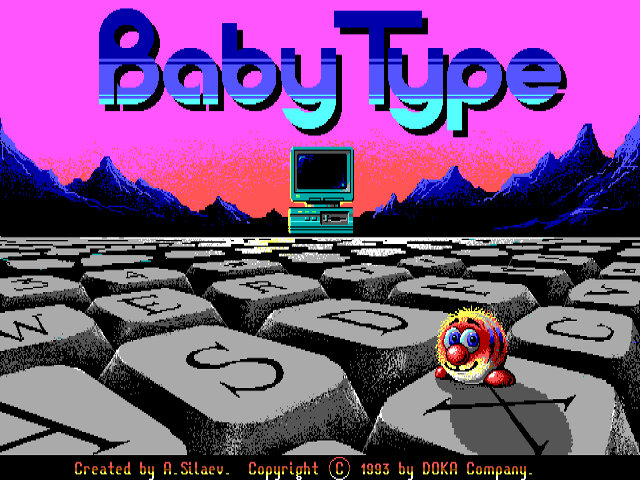 You can play BabyType on this website so you don't need to download and install the game on your computer. We recommend to use Google Chrome when playing DOS games online. 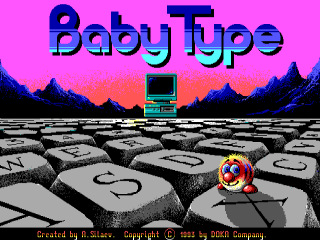 BabyType is a touch typing training programme. As the title suggests, it is primarily aimed at kids but can challenging enough for an older audience as well. 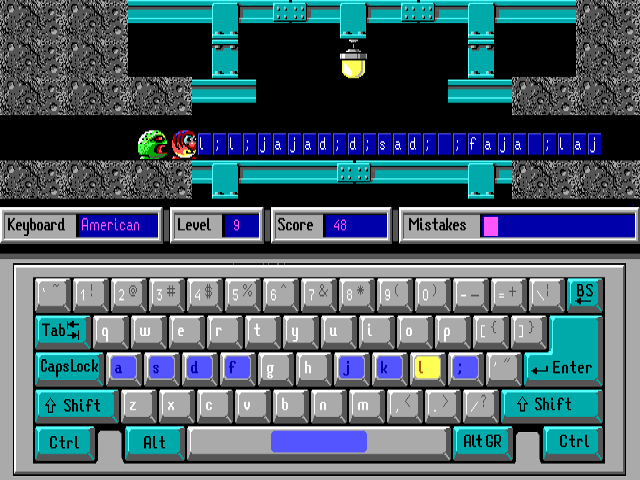 The objective of the game is to clear the path for a cute little creature to escape an impending threat (a monster or crushing machinery) by typing characters corresponding to the blocks that obstruct the creature's path. Doing so removes a block, and completing each stage essentially means typing a random sequence of characters in a limited time. Playing difficulty is adjusted by changing the number of different characters that can be used in a level. 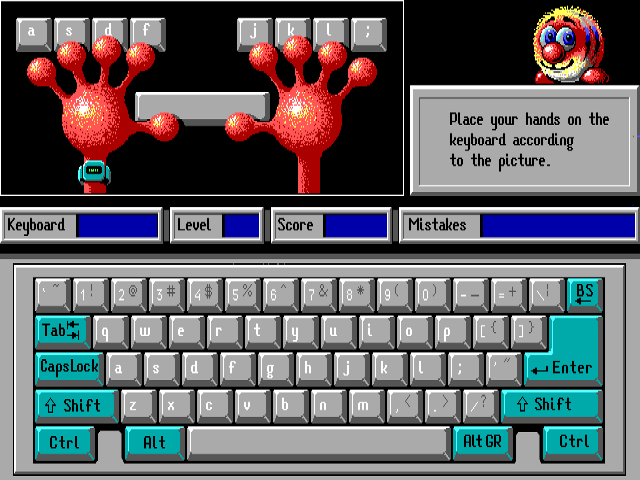 Each successive difficulty level adds two more characters to the set, with maximum difficulty being all keyboard characters used in a level. 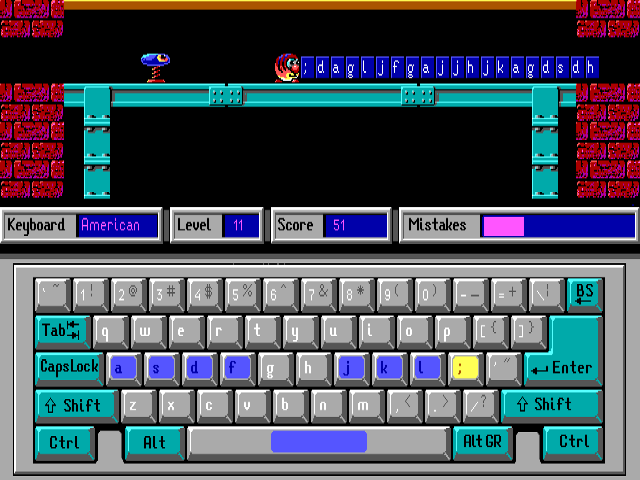 Additionally the game tracks the player's typing speed and increases the movement of the threat accordingly.